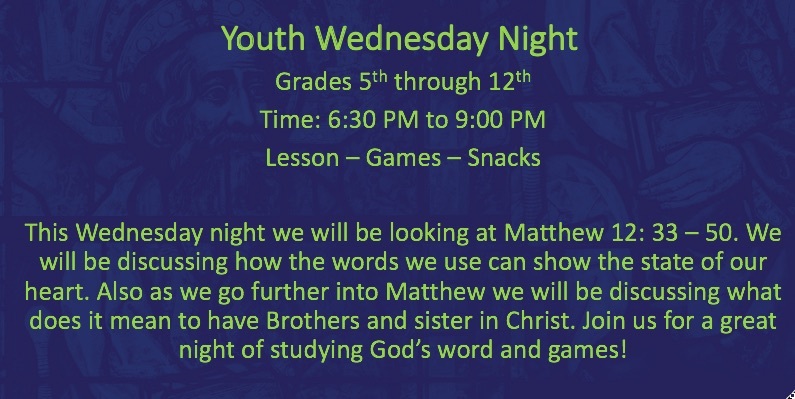 During Sunday school we will be diving into Matthew 7:3–5; Galatians 6:1–5. With the topics of Self-Examination, Serving Others and Comparison. The big idea of this message is bearing one another’s burdens is a command we must fulfill while simultaneously examining ourselves. Talk to your youth this week about Identity. What do you tell people you are? A Christian, Mother, Factory Worker, Farmer? Talk about the importance of having your identity built around Christ! During Sunday school we will be continuing our series looking at Biblical Mission! 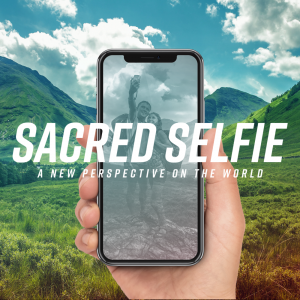 We will be starting a new series title Sacred Selfie!This four-week series focuses on the importance of believers’ identity in Christ. The propensity to place our identity in other fleeting places affects our own spiritual growth, and our relationships with others. Self-examination and reflection on our desires will ultimately reveal what type of “selfie” we are revealing to ourselves and the world. (including on television, the internet, and social media). With the application point being We can live focused on our real identity in Christ by disconnecting ourselves from fleeting things, roles, and ideas presented by the world around us. How often do you get in God’s word and how does this effect your day to day? During Sunday school we will be continuing our series looking at Biblical Mission! We will be discussing the question have we forgotten what it meant to be found? We will continue our dive into Ephesians 3. Have you ever shared your testimony with your child? This is a great way to share your walk in faith and help them understand what it meant to you to be found! What questions does your child have about their faith and in their walk with Christ? Often times we forget what its like to have questions. Try this week to ask and see what questions they have! During Sunday school we will be continuing our series looking at Biblical Mission! We will be discussing the question have we forgotten what it meant to be found? During Sunday school we will be looking at Justification via James 2 in comparison with Roman’s 4. How do you trust the Lord and how do you continue to grow this? When you are going through a “storm” what helps you continue to put your trust in the Lord? During Sunday school we will be starting a new series titled church and mission! What is the purpose of the church and how will we fulfill it? How do you continue to stay committed to the Lord amidst a busy and hectic schedule? When looking at the mission of the Church. What is a particular area that God has laid on your life to be your mission field? How do you treat your every day events to share the Gospel? Whether that be at work, the grocery or when you are on a walk in your neighborhood. 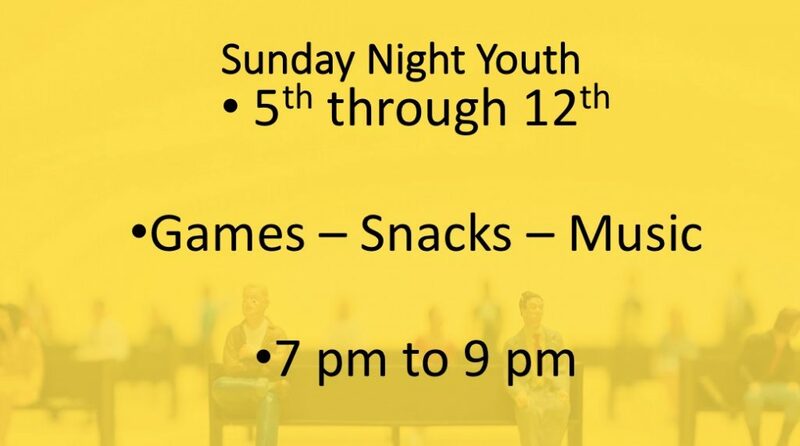 No Sunday Night Youth Due to Mothers Day! Tell your mom you love her and thank you all mothers for all you do! As we go into this weeks lesson we will be looking at looking the golden rule and false teachers. How do you handle these things? As a parent how do you follow the rules that God has given us? Also how do you hold your self accountable? When looking at false teachers in the world? How do you check the people that are teaching you and your kids and ensuring they are teaching God’s Truths. 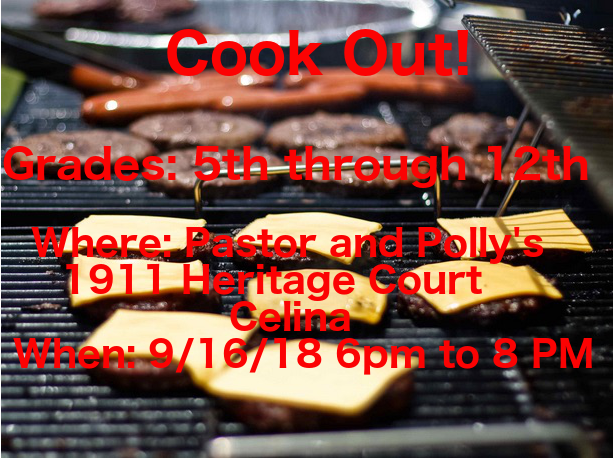 Pastor Kyle has been attending and assisting with Teens for Christ in Celina. 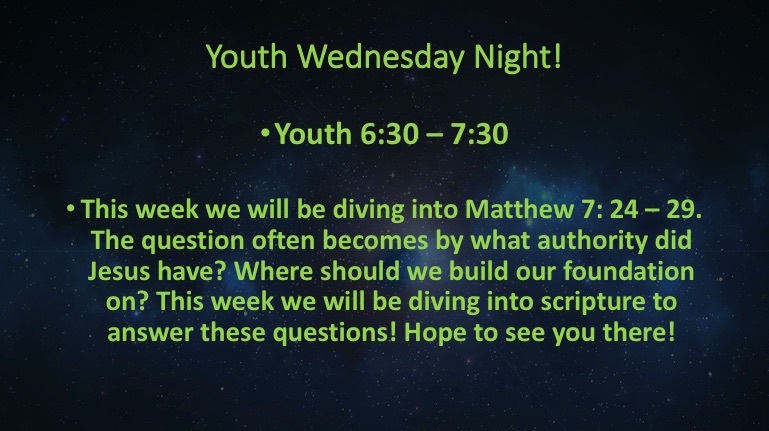 If your youth would like to attend, it is at Celina First Church of God on Tuesday Nights. 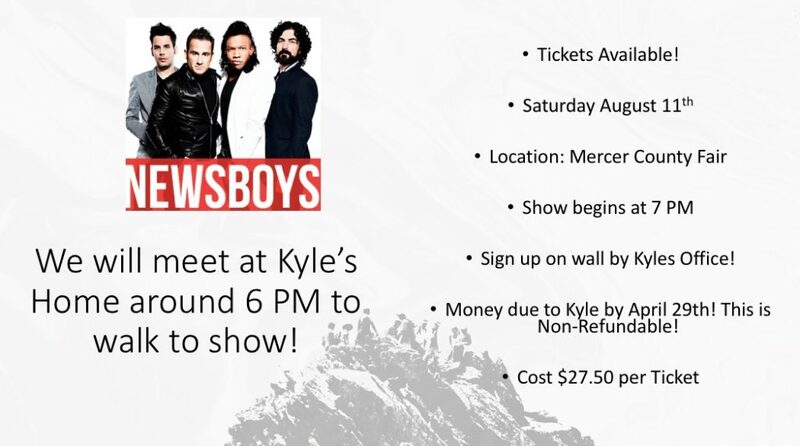 The times are 7 PM to 8:30 PM. 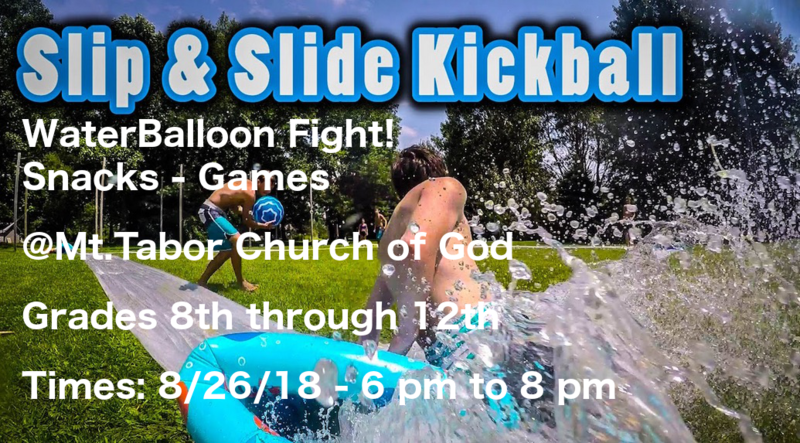 This is a great time of fellowship with kids from all over the area. 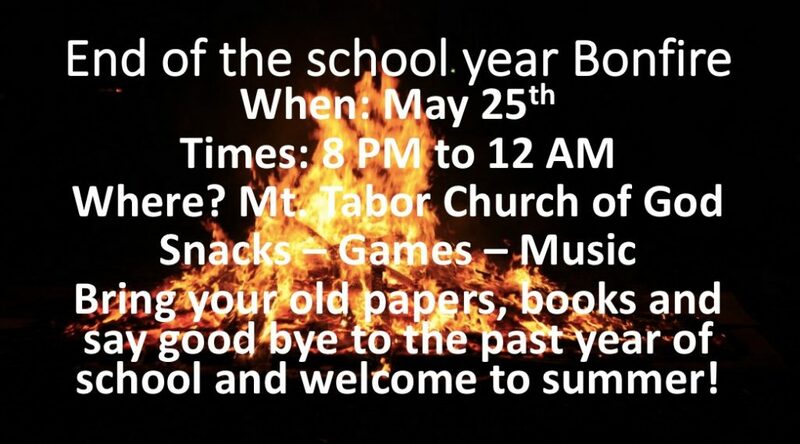 During this event there are games, worship, snacks and a great message each week! 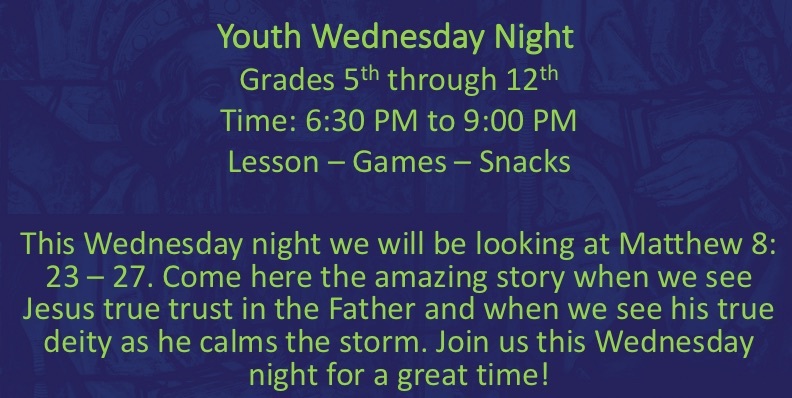 As always, if your child would like to come and you would like more information reach, out to Pastor Kyle.